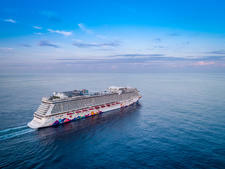 Genting Dream was designed specifically for the fast-growing Asian cruise market, with luxury at the top of its list of priorities. There are 35 restaurants and bars aboard Genting Dream, serving up a wide range of cuisines. While the emphasis is on Asian dishes, you'll also come across flavours from further afield. On the Chinese food front, there is fine diner Silk Road, al fresco Hotpot and the vast Dream Dining Room. The Lobby Cafe and Blue Lagoon food court serve up South East Asian cuisine. Umi Ma is the signature Japanese restaurant, which is complemented by offshoots Umi Ma Teppanyaki and Umi Ma Sushi Bar. On the international front, there is the Palace Restaurant, the Seafood Grill & Prime Steakhouse by Australian chef Mark Best, The Lido buffet restaurant and health-conscious Crystal Life Cuisine. With 1,680 cabins, 1,278 outdoor cabins and 3,360 passenger cabins spread over two exclusive floors, the ship offers a variety of accommodation options for guests. Cabins measure between 32 sq. m and 183 sq. m, with around 70 percent featuring a private balcony. There are also 142 suites that are part of Dream's Palace 'ship-within-a-ship' concept featuring a 'highly personalised' European-style butler service and other special privileges. The top deck is home to a pool, of course, but that's only the tip of the iceberg. If splashing around simply isn't exciting enough, you'll be delighted to discover the Waterslide Park featuring no less than six slides. These range from gentle ones suitable for the whole family, and faster ones for white-knuckle sliders. You can even 'rent a slide'. Once you have dried off, you can have a putt at the mini golf course or test your coordination and balance by tackling the ropes course and the 35m zipline, where the thrills are enhanced by the watery backdrop. If you still have any energy left in the tank, head for the rock-climbing wall -- also suitable for kids. The action doesn't all take place on the top deck. There are plenty of other places to be entertained. Check out the play rooms, mah-jong and card rooms as well as the duty-free shopping outlets. Dance parties take place at the outdoor Zouk Beach Club by day and night, with the occasional foam party also thrown into the mix. It also transforms into an open-air cinema for movie nights. Here, you'll also find Glow Bowl -- a four-lane bowling alley with a neon twist. Shows range from the signature China's Got Talent to circus-style acrobatics, dance performances and western musicals. Regular events include wine tasting and talks. For some pampering, check out the Asian and Western spas, the beauty salon and barbershop. Or to work up a sweat, there's the gym. Families are well catered for aboard Genting Dream -- the ship has more than 100 connecting state rooms. There are also plenty of activities to keep kids entertained. For example the Reach for the Stars junior talent show and the Little Pandas kids' club where they'll try their hand at a range of activities such as pizza-making. Up on the top deck, there is a mini golf course, plenty of suitable slides at the waterslide park, a ropes course and a 'walk-the-plank' feature. If they're taller than 140 cm, they can take on the rock-climbing wall, too. To burn off a little energy on the court, head for the sportsplex where you can play basketball, volleyball and football or head into the arcade for games of a different variety. From its Singapore homeport, Genting Dream sails a range of itineraries lasting between two and five nights. 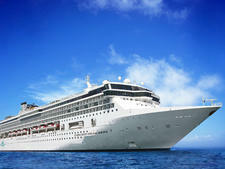 Destinations include Bintan Island, Penang and Phuket, Macleod Island, Indonesia, Kuala Lumpur and the isles of Malaysia. Launched in November 2017, World Dream aims to serve up the same style of Asian hospitality as its sister ship Genting Dream. Formerly SuperStar Virgo of Dream's sister brand Star Cruises, Explorer Dream will undergo a US$30 million (AUD$41 million) transformation before it launches in April.